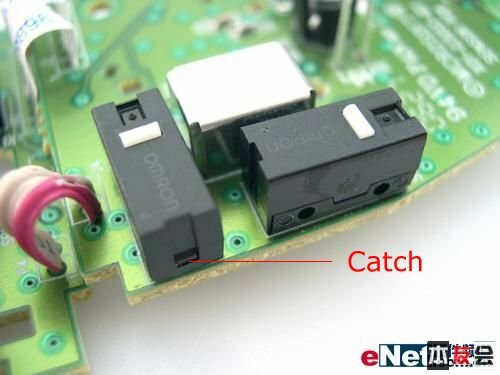 Omron d2fc-f-7n microswitches are used in computer mice all around, and they eventually start clicking several times per hit. AFAIK there is a flexible metal plate that wears out due to metal fatigue, so there must be a way to prolong its life. The obvious solution is to remove the malfunctioning microswitch and replace with a spare, but where I live they aren't available at all. Even from eBay? Whereabouts do you live? One way you can get spares is to smash open another mouse that's broken for some other reason. Perhaps a friend has a broken one? It may be possible to repair them. Those little switches have a snap fit cover, and can be opened up. carefully pull on the catch with a fine blade, and remove the cover. At this point, plug in the mouse and test the switch. gently push on the metal spring on the switch, and see if the problem still happens. If not, try to push on it in such a way that the problem happens. After you have attempted to fix the switch, you will be able to test it again without re-assembling the whole mouse. The switches come in a variety of different designs, but they are fairly similar. 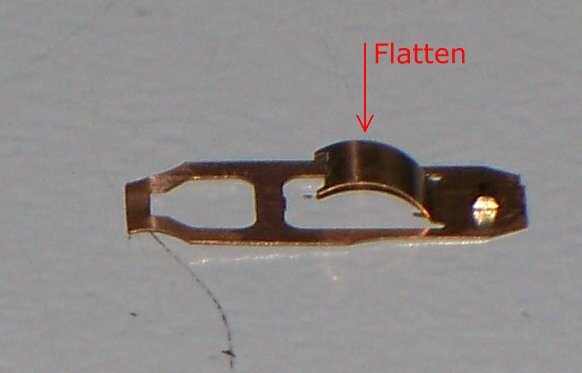 There's a bistable metal spring which normally serves to ensure the contacts move rapidly and decisively. Either it's this spring which isn't pulling as hard, or the contacts are dirty. You need to flatten it slightly. You might find it easier to remove the spring from the switch first. Place it on a table, and squash it slightly with your finger. Not too much. Better to err on the side of caution. Then put the spring back in the switch. Test it again now. If it still bounces, then you might need to flatten the spring a little more. If this doesn't work, then try cleaning the contacts. 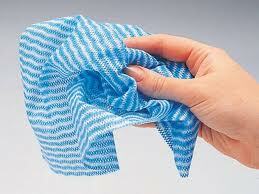 Tear off a thin (5mm wide) strip of J-Cloth or similar. Apply a little abrasive cleaner (like CIF) to it. Thread it through the switch and pull it back and forth to rub away any dirt from the contacts. Tear off another strip, and soak it in methylated spirits (or pure alcohol). Use this to clean off the abrasive cleaner. Test the switch again. If it still doesn't work, then get a new switch. OP here. It was time to fix my mouse again, and this time around I didn't have enough unused switches left (last time I used sensor sensitivity buttons as donors) in the mouse to replace the bad ones. This time I solved it by buying the cheapest mouse (~5 bucks) and taking switches from there. No waiting for delivery, the switches are identical except for the color, and very cheap in face of alternatives. Not exactly fixing the old ones, but an even better, frugal solution. And the switches are brand new. A small capacitor across the switch may do the trick. Say 100nF or so. I just exchanged the right and left switch and no more problem. The right click doesn't care about double clicks. Not the answer you're looking for? Browse other questions tagged switches repair or ask your own question. How to fix a broken sub connection and wire? How to fix a broken Sharp CD-BA150 stereo with the help of a service manual? How does a 2 way switch with indicator work from the perspective of regular user? How to fix sealed consumer product (headphones)? How can I fix this Firewire 800 header by soldering? How can I fix this ESC circuit? How should I take out (or fix) this broken potentiometer? How to Fix Ornament Circuit Board? How can I fix these broken wires?